Many colorful street signs are part of the store fronts in Chinatown. The signs are written in Chinese and English. Colors of red and yellow are predominate on the street signs. Chinatown is part of the city of Toronto. Street signs in Chinatown in the city of Toronto, Ontario, Canada. Make sure to see our photo gallery Toronto. 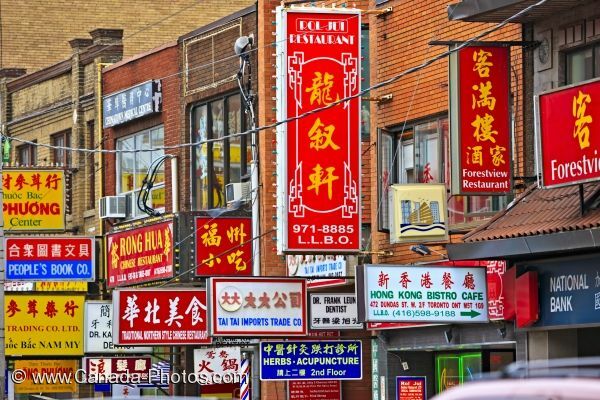 Colorful street signs dominate the store fronts in Chinatown in the city of Toronto.